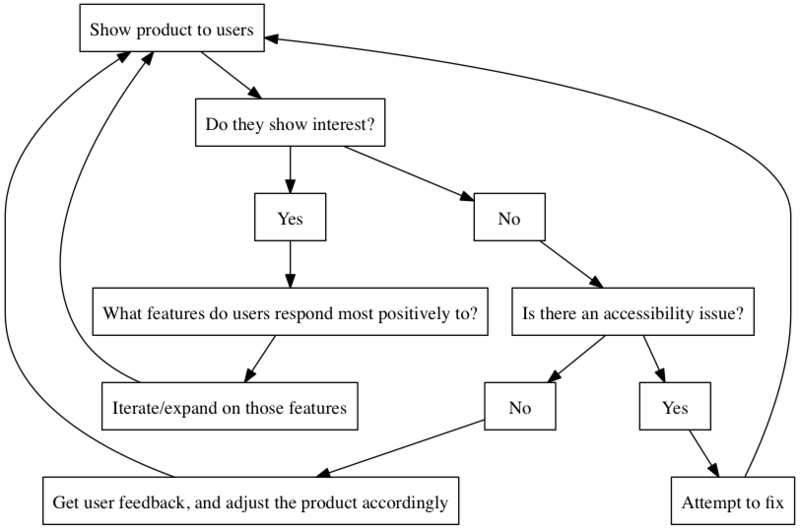 It’s obviously oversimplified, but I think it codifies fairly well what’s worked for us in terms of product development. And, upon reflection, most of the effort that’s fallen outside of this framework hasn’t been very fruitful. I’m going to try cylcing through this workflow for a while and see if I’m missing anything important. Tagged as: startups, product development, management.